A shirt with a grayscale, black and white geometric illustration or a raven or a crow. 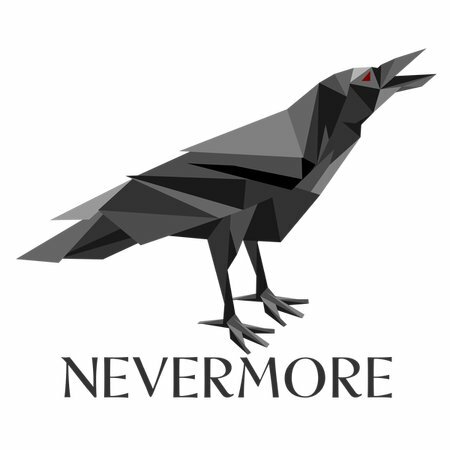 Below the bird is the work Nevermore. 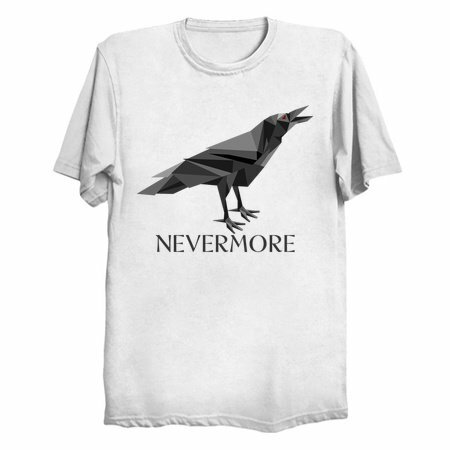 This design has a gothic look and is a tribute to the classic literature, poem THE RAVEN by Edgar Allan Poe.